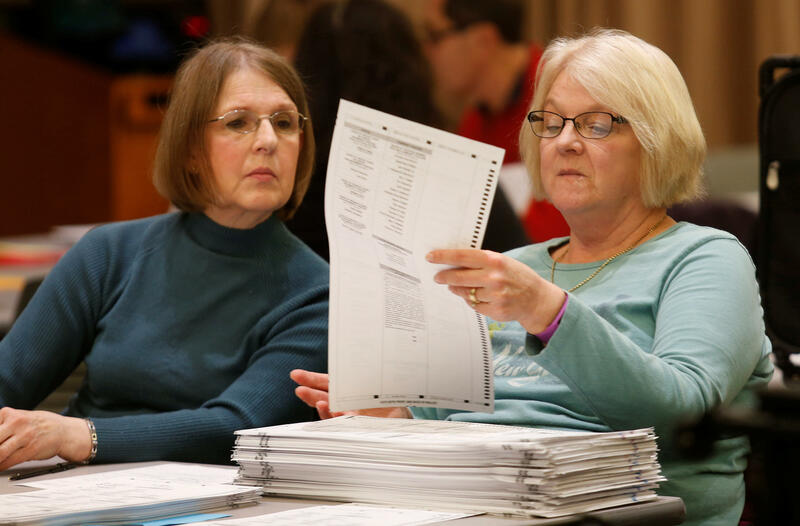 The presidential recount in Michigan expanded Tuesday to its largest county, which includes Detroit, and five other large counties, with the fate of a statewide recount push in Pennsylvania awaiting action in federal court. The recount began Thursday and continued over the weekend, with little change so far in the unofficial results as reported on election night. Six counties had completed their work by Monday morning, with the margin between Trump and Clinton unchanged. Both candidates lost 20 votes. A federal lawsuit was filed late last week by a Trump voter and two super PACs seeking to stop the recount. The judge rejected a request to halt the recount while the lawsuit is pending and scheduled a hearing for Friday. Trump won Wisconsin by about 22,000 votes over Clinton. A spokesman for Republican Secretary of State Ruth Johnson said it’s possible not all votes will be recounted in Wayne because of improper seals on ballot boxes and other issues. In such cases, the original vote would stand. Democrat Hillary Clinton won 67 percent of Wayne County’s vote. Also Tuesday, a Republican-controlled committee approved legislation that would require candidates who lose by more than 5 percentage points to pay 100 percent of the estimated recount cost. Those candidates now pay $125 per precinct, which is Stein’s case is nearly $1 million. Johnson has said the recount may cost $5 million. The bill would retroactively apply to Stein, though Democrats questioned the constitutionality of changing the rules “in the middle of the game.” The bill’s sponsor, Lisa Posthumus Lyons, argues that taxpayers shouldn’t have to pay for “frivolous” recounts. The Green Party filed a federal lawsuit on Monday seeking a statewide recount - a move that came after the party on Saturday dropped a case set to be argued Monday in state courts. An updated count Monday by state election officials showed Trump’s lead shrinking to 47,750 over Clinton, out of 6 million votes cast, as more counties finished counting overseas ballots and settled provisional ballot challenges. That is still shy of Pennsylvania’s 0.5 percent trigger for an automatic statewide recount. Final counts are outstanding in some counties, but there are not enough uncounted votes to change the outcome, officials say.